so we brought some of them together. Please take a moment to make Harvey's song for Claudia your own. Your download will be a donation to Easter Seals’ Playground Project for kids like Claudia to enjoy. Writing and recording a song with Claudia and all the kids at Easter Seals was so rewarding. Thank you to Harvey's. We hope you enjoy it. This is a story about the simple things; the celebration of our warmest friends, and what they do to inspire us all, work hard, and take care of each other. 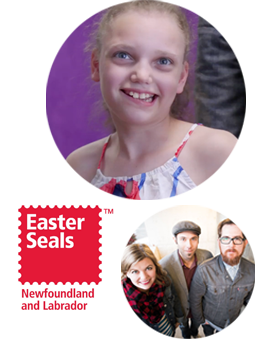 The memories we created with Claudia, her family, The Once, and Easter Seals are special to our Harvey’s family too. Enjoy our story and pay it forward by purchasing our song for Claudia – Warmest Friends by The Once. All proceeds go to building an inclusive playground for Easter Seals and the children they support.